There are just six months until SkillsCymru will be back at the Motorpoint Arena in Cardiff and Venue Cymru in Llandudno. Aimed at 14-21 year olds, and their teachers, parents and the other influencers in their lives, the two events are a unique opportunity to meet thousands of people in one place who are looking to explore their future career options and get work ready. The events in 2018 welcomed record numbers of visitors. Particularly successful were both evening openings, which are aimed specifically at informing parents and carers about the breadth of opportunities in Wales, reaching 1,836 parents, carers and their children in Cardiff and 925 parents, carers and their children in Llandudno. 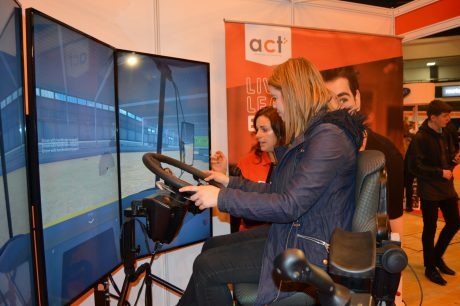 In total the event in Cardiff welcomed 8,482 visitors over two days and one evening, while the event in Llandudno saw 2,526 people over one day and one evening being inspired by exhibitors sharing a whole range of careers. The impact on young people is also clear with 55% of students unsure about their future before attending the event and 97% saying they felt excited, confident or clearer after attending the event. If you would like to get involved with SkillsCymru for 2019 please contact gabrielle.mcevans@prospects.co.uk or paige.davey@prospects.co.uk or phone 01823 362800.